St. Ephraim the Syrian: If he was not flesh . . . And if he was not God . . . The facts themselves bear witness and his divine acts of power teach those who doubt that he is true God, and his sufferings show that he is true man. And if those who are feeble in understanding are not fully assured, they will pay the penalty on his dread day. If he was not flesh, why was Mary introduced at all? And if he was not God, whom was Gabriel calling Lord? If he was not flesh, who was lying in the manger? And if he was not God, whom did the Angels come down and glorify? If he was not flesh, who was wrapped in swaddling clothes? And if he was not God, whom did the shepherds worship? If he was not flesh, whom did Joseph circumcise? And if he was not God, in whose honour did the star speed through the heavens? If he was not flesh, whom did Mary suckle? And if he was not God, to whom did the Magi offer gifts? If he was not flesh, whom did Symeon carry in his arms? And if he was not God, to whom did he say, “Let me depart in peace”? If he was not flesh, whom did Joseph take and flee into Egypt? And if he was not God, in whom were words “Out of Egypt I have called my Son” fulfilled? If he was not flesh, whom did John baptise? And if he was not God, to whom did the Father from heaven say, “This is my beloved Son, in whom I am well-pleased”? If he was not flesh, who fasted and hungered in the desert? And if he was not God, whom did the Angels come down and serve? If he was not flesh, who was invited to the wedding in Cana of Galilee? And if he was not God, who turned the water into wine? If he was not flesh, in whose hands were the loaves? And if he was not God, who satisfied crowds and thousands in the desert, not counting women and children, from five loaves and two fishes? If he was not flesh, who fell asleep in the boat? And if he was not God, who rebuked the winds and the sea? If he was not flesh, with whom did Simon the Pharisee eat? And if he was not God, who pardoned the offences of the sinful woman? If he was not flesh, who sat by the well, worn out by the journey? And if he was not God, who gave living water to the woman of Samaria and reprehended her because she had had five husbands? If he was not flesh, who wore human garments? And if he was not God, who did acts of power and wonders? If he was not flesh, who spat on the ground and made clay? And if he was not God, who through the clay compelled the eyes to see? If he was not flesh, who wept at Lazarus’ grave? And if he was not God, who by his command brought out one four days dead? If he was not flesh, who sat on the foal? And if he was not God, whom did the crowds go out to meet with glory? If he was not flesh, whom did the Jews arrest? And if he was not God, who gave an order to the earth and threw them onto their faces. If he was not flesh, who was struck with a blow? And if he was not God, who cured the ear that had been cut off by Peter and restored it to its place? If he was not flesh, who received spittings on his face? And if he was not God, who breathed the Holy Spirit into the faces of his Apostles? If he was not flesh, who stood before Pilate at the judgement seat? And if he was not God, who made Pilate’s wife afraid by a dream? If he was not flesh, whose garments did the soldiers strip off and divide? And if he was not God, how was the sun darkened at the cross? If he was not flesh, who was hung on the cross? And if he was not God, who shook the earth from its foundations? If he was not flesh, whose hands and feet were transfixed by nails? And if he was not God, how was the veil of the temple rent, the rocks broken and the graves opened? If he was not flesh, who cried out, “My God, my God, why have you abandoned me”? And if he was not God, who said “Father, forgive them”? If he was not flesh, who was hung on a cross with the thieves? And if he was not God, how did he say to the thief, “Today you will be with me in Paradise”? If he was not flesh, to whom did they offer vinegar and gall? And if he was not God, on hearing whose voice did Hades tremble? If he was not flesh, whose side did the lance pierce, and blood and water came out?And if he was not God, who smashed to gates of Hades and tear apart it bonds? And at whose command did the imprisoned dead come out? If he was not flesh, whom did the Apostles see in the upper room? And if he was not God, how did he enter when the doors were shut? If he was not flesh, the marks of the nails and the lance in whose hands and side did Thomas handle? And if he was not God, to whom did he cry out, “My Lord and my God”? If he was not flesh, who ate by the sea of Tiberias? And if he was not God, at whose command was the net filled? If he was not God and man, our salvation is a lie, and the words of the Prophets are lies. But the Prophets spoke the truth, and their testimonies were not lies. The Holy Spirit spoke through them what they had been commanded. This entry was posted in Sayings from Saints, Elders, and Fathers, St. Ephraim the Syrian and tagged Apostles, Blind Man, Crucifixion, Fully God Fully Man, God as Man, Harrowing of Hell, Holy Spirit, Incarnation, Magi/Three Wise Men, Palm Sunday, Raising of Lazarus, Resurrection, Salvation, Samaritan Woman, St. Simeon the God-receiver, The Prophets, Theophany, Transfiguration on August 6, 2015 by . 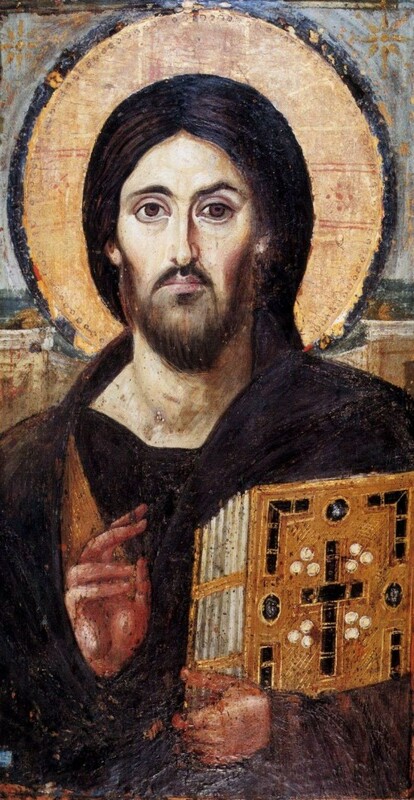 Today we heard at the Divine Liturgy the account of the Holy Evangelist John the Theologian about the healing by Jesus Christ of the man born blind, that is, who had never seen anything before. It is characteristic that, when this Gospel account ends, the Lord said: “For judgment I am come into this world, that they which see not might see; and that they which see might be made blind” (Jn 9:39). And His spiteful enemies, the scribes and Pharisees, probably with irony and mockery, asked Him: “Are we blind also?” (Jn 9:40). And they received an answer, as the Lord told them: “If ye were blind, ye should have no sin” (Jn 9:41), because if a person does not know and does not see, he cannot transgress consciously and does not sin so greatly. Even if he makes a mistake, the Lord Himself does not find it a sin, if the person did not know he was sinning. So the Lord spoke, “If ye were blind, ye should have no sin, but now ye say, We see; therefore your sin remaineth” (Jn 9:41). Remember, this is a frightful sentence, because it was pronounced by the One who alone can justify or condemn, and He said their sin remained. Our Lord Jesus Christ gave the former blind man not only physical, but also spiritual vision. At the same time, the Gospel illustrates how, by their determination, Christ’s enemies are blinding themselves all the more, persisting in their delusions. When the Lord healed the blind man, he was asked how it had happened. He said that he could not answer this question: he had been blind when the Lord approached Him. Probably he had heard what the Savior’s name was, which is why he answered: “A man that is called Jesus made clay, and anointed my eyes, and said unto me, Go to the pool of Siloam, and wash: and I went and washed, and I received sight” (Jn 9:11). They asked him who Jesus was, and he said “I know not” (Jn 9:12). He was led to the Pharisees, and they examined him. He said shortly: “He put clay upon mine eyes, and I washed, and do see” (Jn 9:15). Now there was a dispute between the Pharisees and Christ’s enemies, “a division among them,” as is said in the Gospel (Jn 9:16). Some of the Pharisees said, “This man is not of God, because he keepeth not the sabbath day” (Jn 9:16), which means he did not obey the law. Others argued saying, “How can a man that is a sinner do such miracles?” (Jn 9:16). The former blind man hears this dispute and the truth becomes clearer and clearer to him. So the words of one of the group of Pharisees (how can a man that is a sinner do such miracles) becomes the guiding line for his further actions. He was asked again and again, and cross-examined, and as they kept asking the same questions, he finally told them: “I have told you already, and ye did not hear: wherefore would ye hear it again? will ye also be His disciples?” (Jn 9: 27). For them, rabid enemies of Christ, to be His disciples?! The man had no idea, of course, what a blow his words were to them. So they told him with spite and anger: “Thou art his disciple; but we are Moses’ disciples. We know that God spake unto Moses: as for this fellow, we know not from whence He is” (Jn 9:28-29). The Church, telling us today about this miracle of the Savior, at the same time chants in the person of each of us: “Blind with my spiritual eyes, I come to you, O Christ, like one born blind.” Not long ago we prayed to our Lord intensively: “Grant that I may see my own sins.” If we ask to see, to be able to see our sins it means we cannot see them as well as is needed. This is because our “spiritual eyes” are blind. This is why this church prayer is full of sense and meaning for each of us. The Holy Fathers also always say that people cannot see their sins as clearly as they should. A long time ago we already gave this example from one ascetic’s life, who asked God to let him see to what extent human nature was corrupted by sin. And when the Lord, in a certain mysterious vision, revealed to him the degree to which man is corrupted by sin, the ascetic felt that he could lose his mind from fear, and he was begging God to hide this vision from him forever. This is the extent to which people are corrupted by sin. St. Macarius of Egypt said a person can be good, but deep in his soul the roots can be poisonous. Our Lord Jesus Christ came to heal us of this brokenness, because no other force in the world can heal us of this frightful corruption by sin. This is what current reformers of life forget and tend not to see when proposing their ideas. They forget, or do not know, that a person is a sinful creature. Therefore, as the Blessed Augustine said, people differ only in the extent to which each of them is evil. We should always realize how sinful and corrupt we are, and beg God to heal our soul’s eyes the way he gave physical and spiritual recovery to this former blind man about whom we heard. Amen. This entry was posted in Metropolitan Philaret of New York and tagged Blind Man, Corruption, Darkening the Mind/Nous, Delusion, Evil, God as Creator, God as Physician, God as Redeemer, Miracles, Miracles of Jesus, Repentance, Sin, Spiritual Blindness, Spiritual Sleep, St. Augustine, St. Macarius of Egypt, Sunday of the Blind Man on May 27, 2014 by .